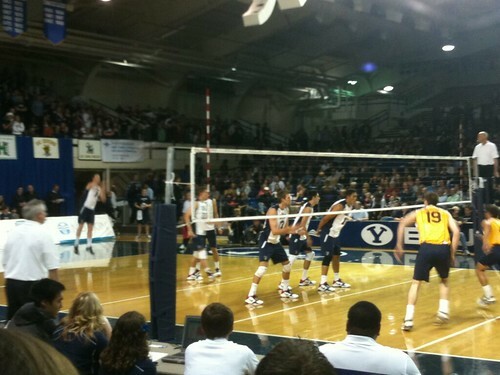 Kevin and I went to the season opener on January 28, 2011 for the Mens Volleyball team...it was so much fun! 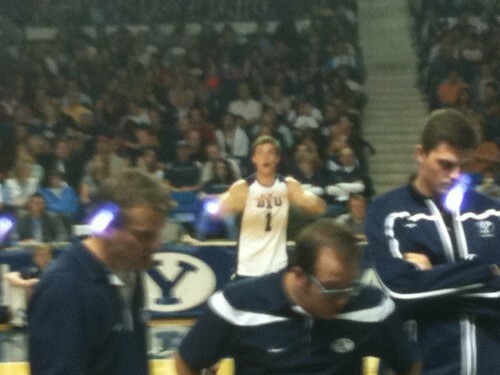 BYU played UC Irvine and BYU won. I really do love watching volleyball! And yes since we are moving I am feeling like going to more BYU sporting events just because this is our "last opportunity"! We got great seats because we came 40 minutes early...right next to the court! I had so much fun I thought it would be a good event to take the girls at the treatment center to. I have a ManEc (Managerial Economics) class with a guy on the team and he gave me 11 tickets so the next weekend I got to take 10 girls to a game, along with another coworker. 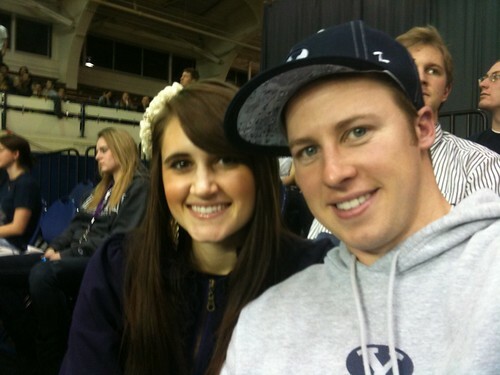 That was on February 5, 2011 and BYU played UCLA. BYU won all 3 games and some of the girls at the treatment center were pretty upset...mostly all of the kids at Heritage are from California! So we had a few girls cheering for UCLA just because of that.